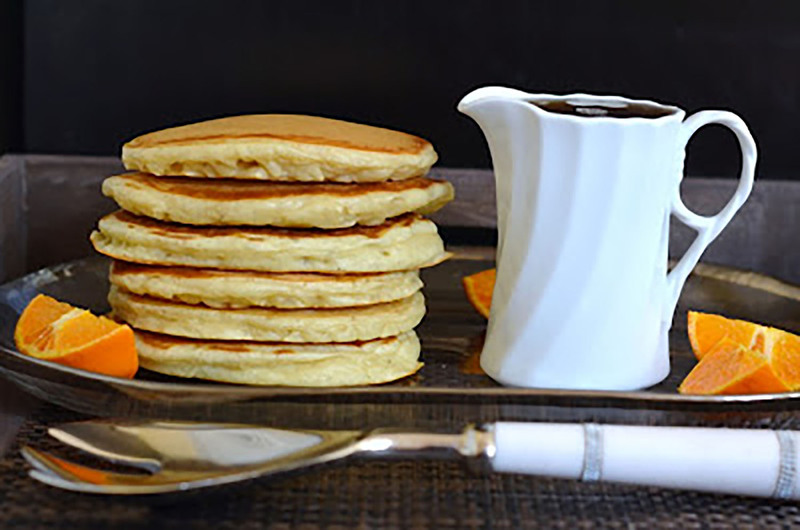 Fluffy and light pancakes with a subtle yeast flavor and aroma. Perfect for everyday breakfast or special occasions. In a large mixer bowl, combine 1 cup flour and yeast; mix well. Heat milk and water until very warm (120-130°F). Add to flour mixture. Stir until combined. Cover with plastic wrap. Set aside for 1 hour. In small bowl, beat eggs; add butter. In separate bowl, combine remaining flour, sugar, baking soda and salt. Stir down yeast mixture; add egg and flour mixtures. Beat until smooth. Grease griddle with cooking spray or lightly coat with oil or butter. Scoop desired size pancake batter onto hot griddle. Flip when you start seeing bubbles form along edges, or until golden brown on bottom. Bake other side until golden brown. Add your favorite toppings and syrup. Serve warm. Recipe featured at Food Wanderings.